← What Brings You Peace? How Does Desire Drive You? 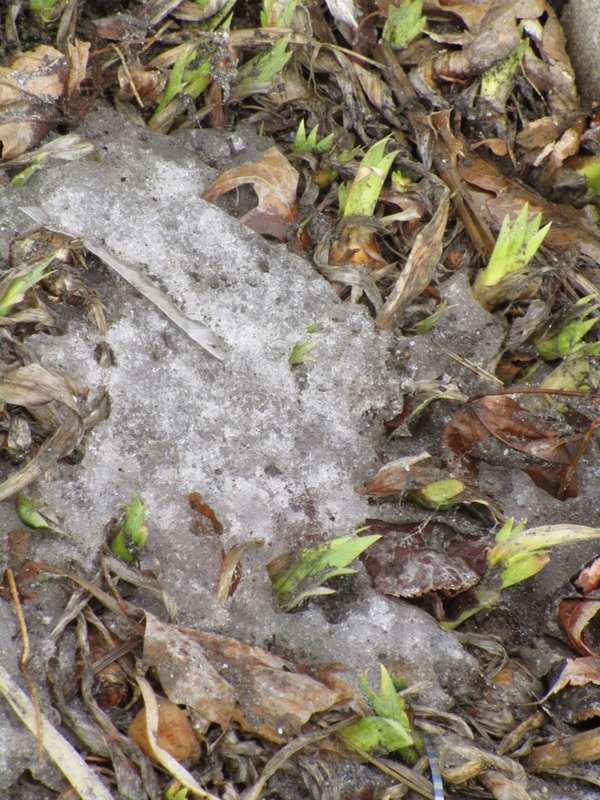 I couldn’t resist taking a picture of this (on 3/26/15) in what I have of a front yard in Coaldale, PA. Less than a week ago, six inches of snow covered this area. Imagine the energy these sprouts needed to push through the ice. They didn’t care…they just did what they had to do. How does your desire drive you? Right now, my desire to overcome cabin fever drove me to take this picture, for a start on my desire to get outdoors. It’s strange, but when I keep thinking about something I want, eventually it drives me to go for it. So far I haven’t hit the trails but I’m sure it’s coming shortly. Like a homemade crumb cake. I’ve been thinking about baking a homemade crumb cake for a week…eventually, the desire will drive me to do it. Maybe it’ll be the craving I create by thinking about it will be the motivator, but when the desire is strong enough, the cake will baked. Maybe tomorrow, yummmmmm. What do you desire? How does your desire drive you? This entry was posted in Uncategorized and tagged Creativity, Faith, Hope, inspired living, Nature, Outdoors, simplicity, Spiritual living. Bookmark the permalink. 1 Response to How Does Desire Drive You? Most desires of humans, plants, and animals come form the need to survive. We humans also have emotional desires. I desire to understand my world and am driven to listen, read, think, and write. I desire to encourage others to do the same, to understand and respect each other and help our world survive.